The plastic coating process is pretty simple. Our plastic coating oven runs at a scorching 450 degrees. The product is sent on a full rotation of the oven and is then carefully removed and hand dipped into the plastic coating powder. The powder melts onto the product and continues to melt as the product cools on its journey around the hanging track. 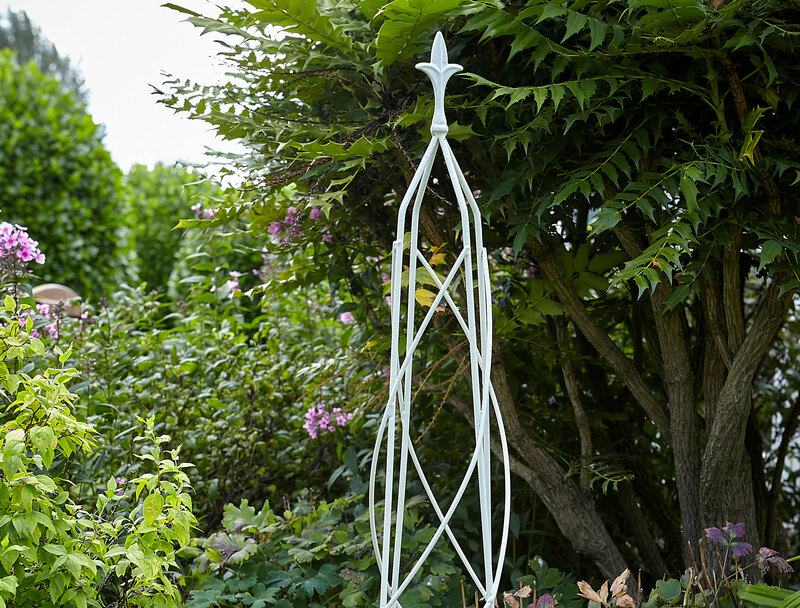 The addition of our beautiful new colours has extended our best selling range of obelisks and have proved very successful. Try one in your garden today.